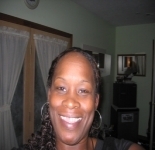 Kathy Drayton-price is currently living in Stockbridge, Georgia, working as an Independent Travel Agent in "Xtraordinary Xscapes Travel " and is interested in HospitalityTravel. This profile is owned by Kathy Drayton-price. Send a message to this person to delete this profile.